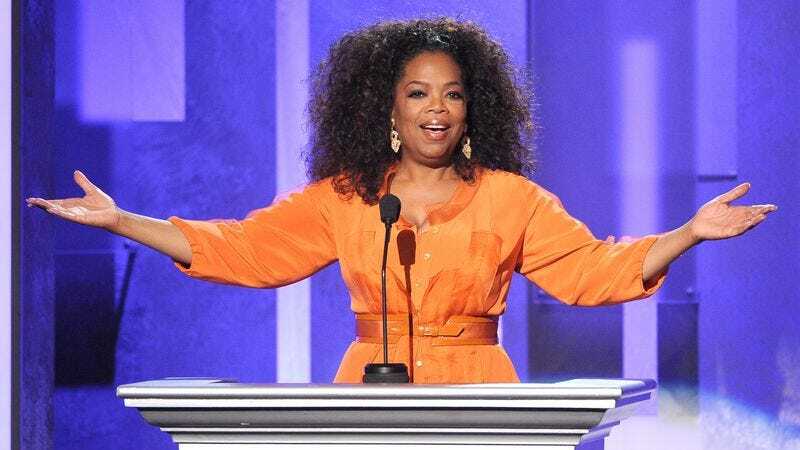 Deadline reports that entertainment powerhouse (and enumerator of her favorite things) Oprah Winfrey has just signed an eight-figure deal with Macmillan’s Flatiron Books for her memoir. The book is titled The Life You Want, and will touch on Winfrey’s rags-to-riches tale—including “painful,” never-before-told stories—in order to dispense valuable life lessons. In a statement, Winfrey said she hopes to “[inspire] other people to live the highest, fullest expression of themselves.” The O magazine founder (and permanent cover model) is reportedly already in the early stages of writing the memoir, which will be published in January 2017. Winfrey has also nabbed her own imprint at Flatiron as part of the arrangement, with publisher Bob Miller citing her “extraordinary instincts when it comes to choosing books” (and stocks). Occasional blunders aside, Winfrey’s established herself as a literary tastemaker—recommendations made in her long-running Book Club, which began as a segment on her talk show (you know the one), significantly promoted author profiles (and book sales, duh). Winfrey’s as-yet-untitled imprint will focus on nonfiction works, and will publish a few titles a year. We can now dispense with our “You get a book deal! And you get a book deal!” jokes.